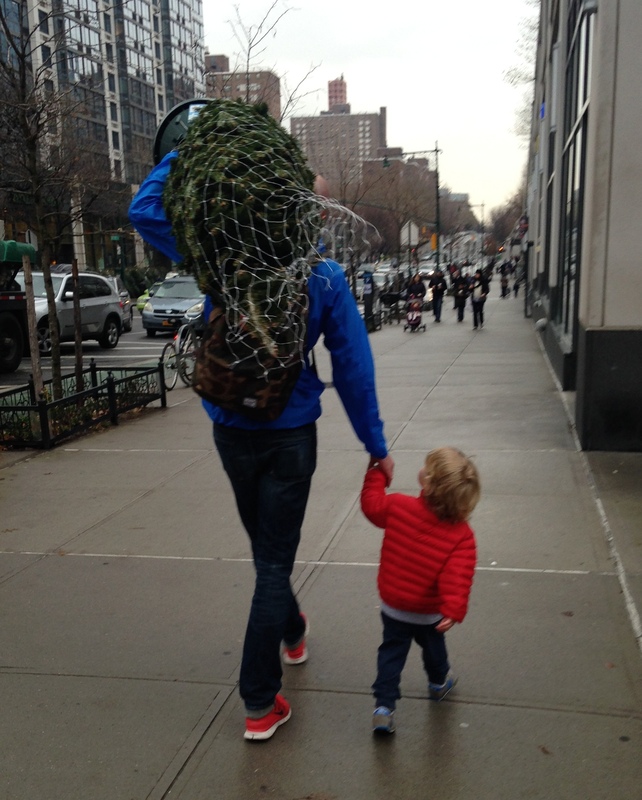 Today has been a day all about one thing – Christmas. This morning we picked out our tree and schlepped it home (New York Style), we wrapped gifts listening to the Salvation Army playlist, and we wrote cards for friends and family back in the UK. It was cold and wet, so it was the perfect afternoon for it. I was only missing one thing – the mince pies. I know that Christmas cards are becoming obsolete. In fact I read something today that said 2014 is the year the Christmas Card died. One of my best friends has decided to use the money she would have spent on cards to donate to a charity close to her heart instead, which is a fantastic idea. I was thinking about a few certain people back home who I really need to write to, and it got me thinking – there are plenty of people who don’t receive cards or gifts and would love to receive something in the mail – especially at this time of year. So I had a look online and found a wonderful organisation called The Forgotten Ones Card Exchange for the Elderly. So I added a few addresses to my card list. 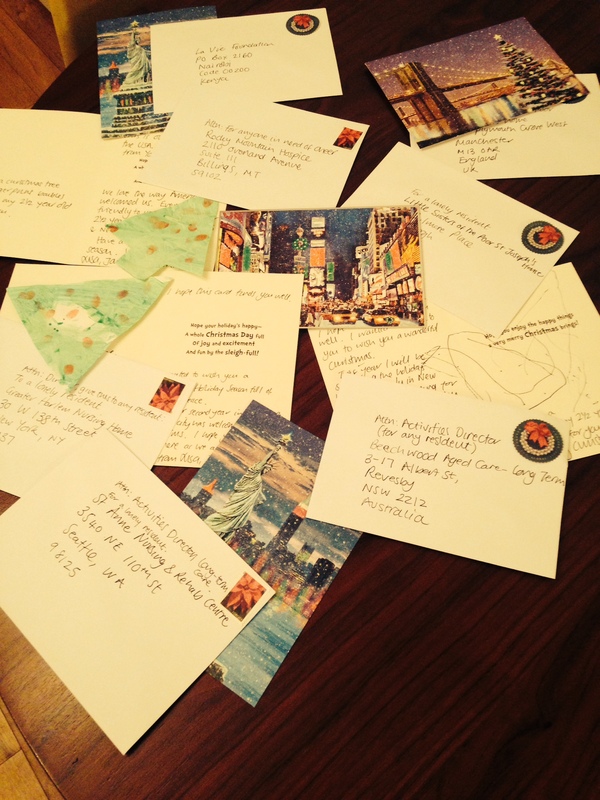 I’m sending cards to residents in need of cheer at nursing homes, rehab centers, and hospices – from as close as a few blocks away in Harlem to as far as Nairobi and Australia. I chose a few places close to our hearts too – such as Manchester (where my husband’s from) and Edinburgh (where we got married). I sent a few pictures my son had painted/drawn to add a personal touch, and also included a stamped, addressed envelope in case anyone wanted to reply. This is definitely a Christmas tradition I will be keeping. I’m already looking forward to next year. What about you? Do you have a few spare cards? If so, don’t put them away for next year, send them to someone who will really, really appreciate the effort and bring a smile to someone’s face. Got any comments or suggestions? I’d love to hear what you are doing. Get involved below. NextDear Santa… please can I have a donation to TINT?